We had a blast being part of this community, inclusion and...play! Portland has once again participated in the Community Play Day, hosted by FACT and Harper's Playground, a beautiful and innovative inclusive playground in North Portland. Us and many other organizations enjoyed live music, face painting, art projects, games, and most of all, fun! 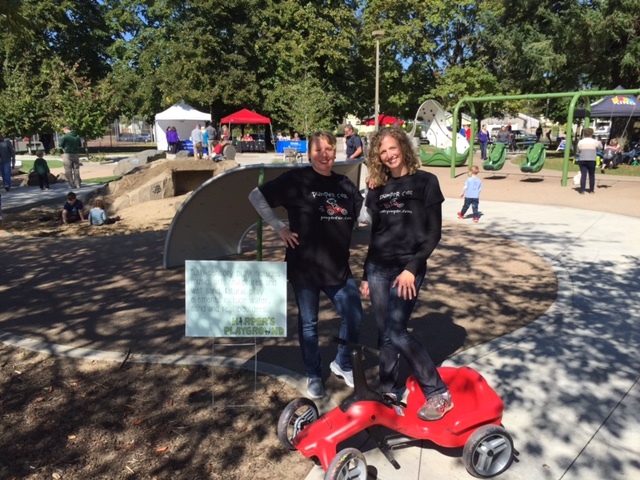 We were happy to share the Pumper Car experience along with the other games for Community Play Day. Miss Oregon USA, Emma Pellet, also made an appearance. If you missed it you can still come play on this totally awesome award-winning playground, and enjoy the benefits of an inclusion, family friendly park!